Back in November 2017 the metro tunnel station names were announced, including a new station called North Melbourne, with the current station to be renamed to West Melbourne. I don’t have a problem with that. 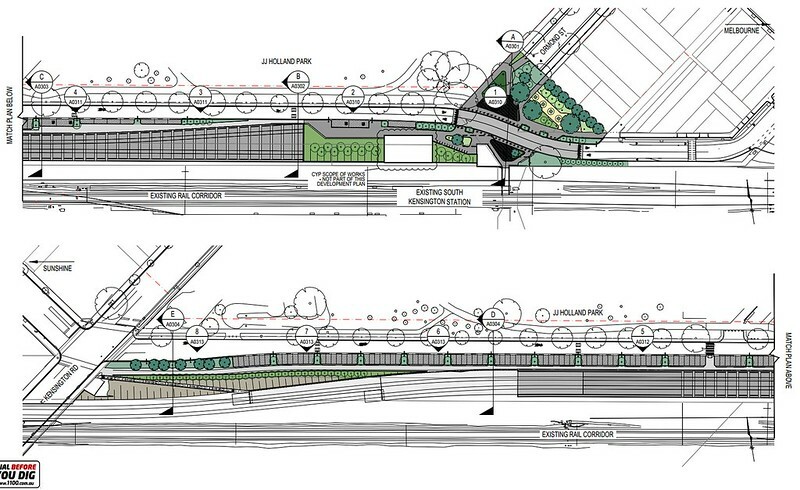 It’s logical… but it has to happen well in advance of the new station opening, to minimise confusion. At the time, there were assurances that this would be done quickly. A good opportunity to rename a station is when there are other rail network changes, prompting a new edition of the rail map. Publishing a new map is a big thing. It has to be designed, and then every map around the system needs to be replaced. Web sites are easy, but there’s every station, every train carriage. Well they missed an opportunity. In August 2018 the Mernda rail extension opened, prompting a map revision. But “West Melbourne” is still “North Melbourne”. If you want an illustration that replacing all the maps is a big task, note that many stations, including my local, are still displaying the old pre-Mernda maps. So, what are the next metro stations to be opened? 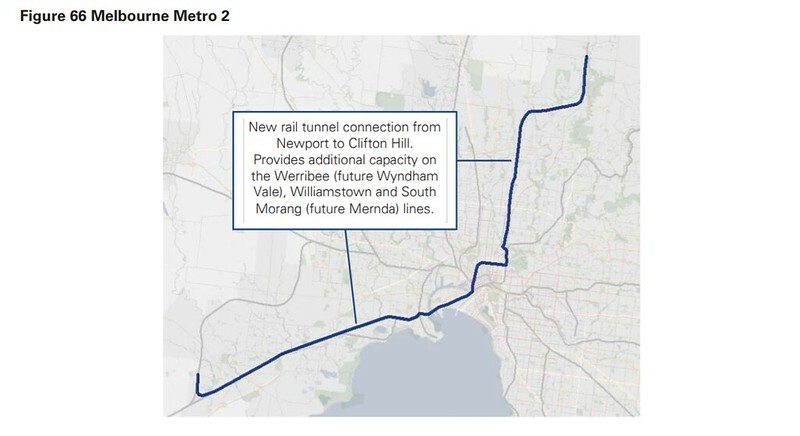 Well there’s actually nothing definite until the tunnel opens in 2025… including the new North Melbourne. They could have done the renaming in August, but they didn’t. Perhaps there are other factors holding them back; some behind-the-scenes issues that need to be resolved. 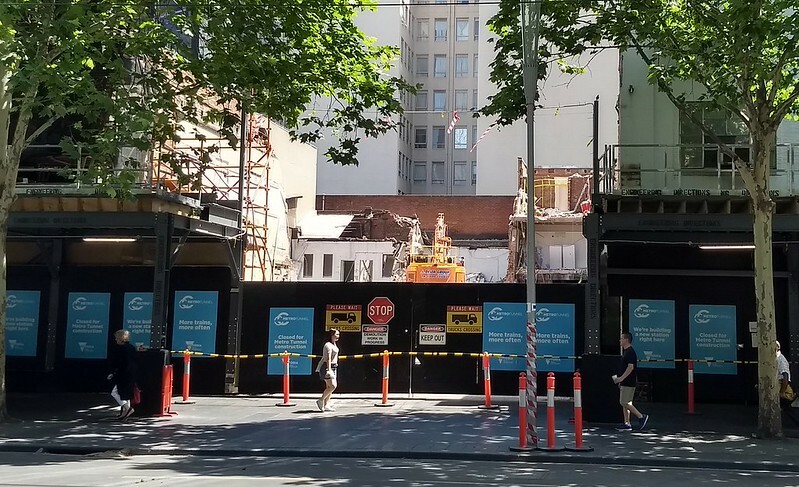 Presumably those can be overcome; just as they were for Melbourne Central (Museum) and Southern Cross (Spencer Street). There is another chance before 2025. There aren’t any more metro stations expected before then, but there is a V/Line station: Cobblebank, in Melbourne’s outer west, slated for completion during 2019. Let’s hope they take this opportunity to rename North Melbourne well before the new station opens. If you live in Melbourne, you’ve almost certainly heard of the Melbourne Metro Rail Tunnel project (MMRT for short, but to avoid confusion here, I’ll call it Metro 1). You may or may not have also heard of the Metro 2 project. So what is it? 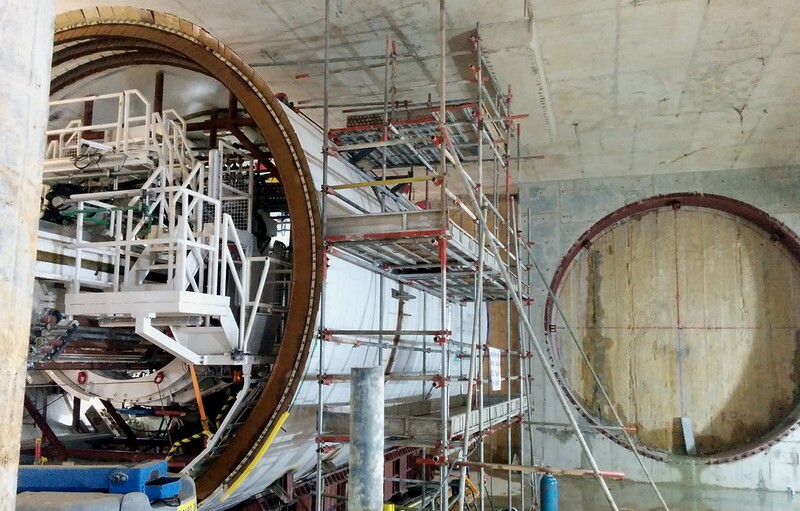 It used to be the second stage of Metro 1, but around 2012 that tunnel was changed to be built as one big project. Metro 2 is a second metro rail tunnel. 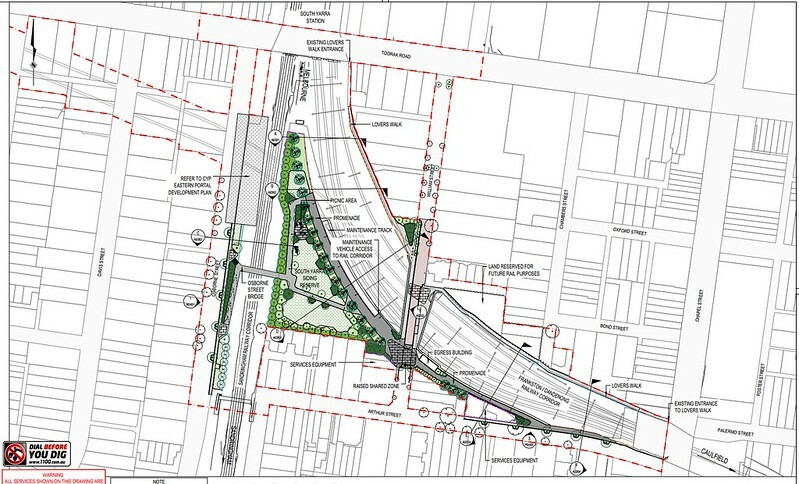 It was glimpsed in PTV’s rail plan of 2013, and at the time was seen as a tunnel from the South Morang/Mernda line, just north of Clifton Hill station, diving under Fitzroy (possibly with a station there), Parkville (with interchange to Metro 1), then Flagstaff, Southern Cross, and finally out to new development at Fishermans Bend. The latest thinking has it extending further, under the river to Newport, to connect with the Werribee line. So basically the South Morang/Mernda line would be separated from the Hurstbridge line, boosting capacity on both (and allowing the Doncaster line to be built — though some argue that this can be done sooner, with high-capacity signalling). And the Werribee line would be separated out from the Williamstown and Altona Loop (Laverton) lines. This has a lot of merit. 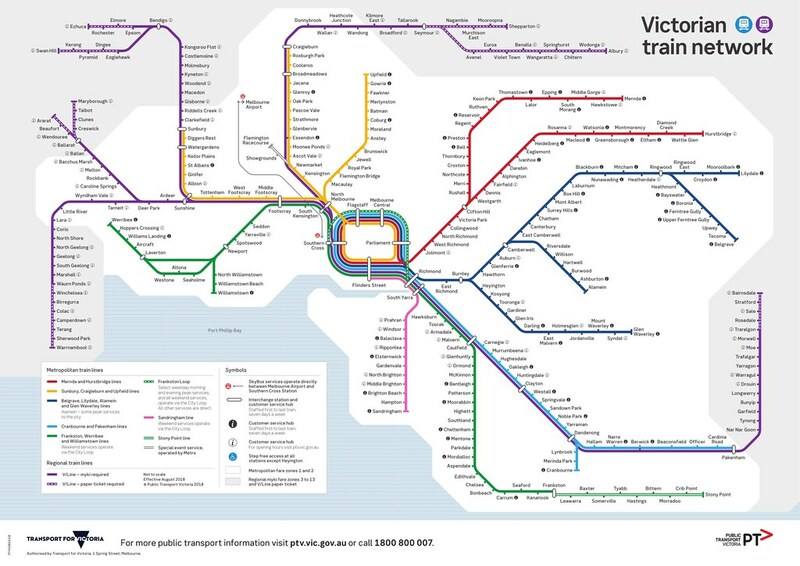 Although the Werribee line has been freed of the contraints of the Geelong line trains thanks to the Regional Rail Link project, it serves a massive growth area to Melbourne’s south-west, and eventually the line will fill up again. 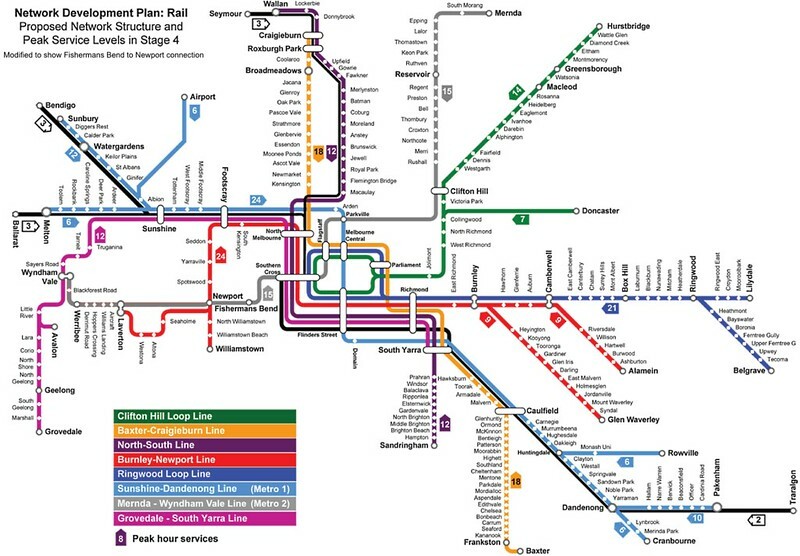 South Morang/Mernda is also seeing a lot of growth, and enabling high frequencies on the line might also make possible a branch to Epping North. Alongside other rail projects it would improve connections, allowing far more trains to run. Passengers on both lines would have a faster, more direct trip into the CBD, which if accompanied by quality local feeder services (buses) and infrastructure (bus and bike lanes, and pedestrian facilities) would better compete with car travel. From Werribee the new direct route would make the train a better match for the Westgate Freeway. And not just for western suburbs to CBD commutes; it would also cater much better for trips to the Fishermans Bend area — currently completely noncompetitive by public transport. If the line ran 15 trains per hour (up from about 7 in the busiest hour now), that’s at least 8800 additional people, assuming 7-car HCMTs, well above what the proposed 3-lane West Gate Tunnel could handle. But that wouldn’t be stretching the rail infrastructure. More can be squeezed out the current lines right now, and a new tunnel should be able to run at least 24 trains, but up to 30 or more using high capacity signalling, and if built for it, 10-car trains. Some think the ideal time to start building such a project isn’t after the metro tunnel is finished in 2026 — rather, it’s in the next few years — starting with detailed planning, surveying, soil testing, property acquisition, all the stuff that the first metro tunnel went through ten years ago in preparation for major works. And preferably major works (including excavation) start on Metro 2 as they finish on Metro 1 — which isn’t the end of the first project, but some time early next decade. This would allow expertise and equipment to roll off one onto the next. There’s a cost to all this of course — well above $10 billion, according to Infrastructure Victoria. But again, the choice between a project like this and Yet Another Massive Road Project means the difference in future between getting thousands more people onto public transport, or thousands more people onto the roads. What should they call the metro tunnel stations? The state government are running a competition for naming the new stations to be built as part of the metro rail tunnel. It’s a good idea to get suggestions. Some of the working names are a little uninformative, and someone out there might have a brilliant name idea that nobody in officialdom has thought of. A panel will look at the suggestions and make recommendations to the government. My thinking is the names should be dull but informative. For all the bright ideas of naming them after people or using historical or cultural references, fundamentally these names are a navigation aid to be used for decades to come. The first aim is not to honour something or somebody, but to help people get around, so the names have to tell you where the stations are. As one observer pointed out: Jewell and Anstey stations (which are both named after politicians) just don’t work as names. 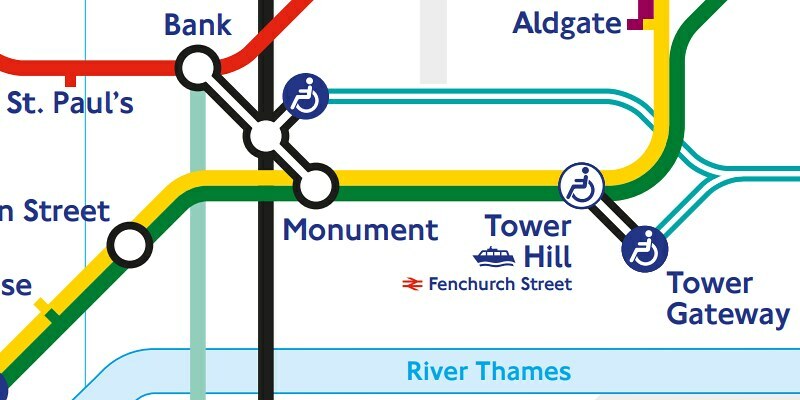 Perhaps in time major stations can become landmarks in their own right, but I suspect this is unlikely with underground stations without a big surface footprint. Domain: To be located underneath the current Domain tram interchange. While Kings Domain (park) is further north, the broader Domain Parklands includes the area around the Shrine immediately next to the station site. So “Domain” or “Shrine” would work, as both are well-known landmarks. “St Kilda Road” would be too vague. CBD South and North are too similar, so I think it would be unwise to keep the working names. CBD South: If you were aiming to use a local landmark, then the station’s location is close to Town Hall, the City Square, and St Paul’s Cathedral. 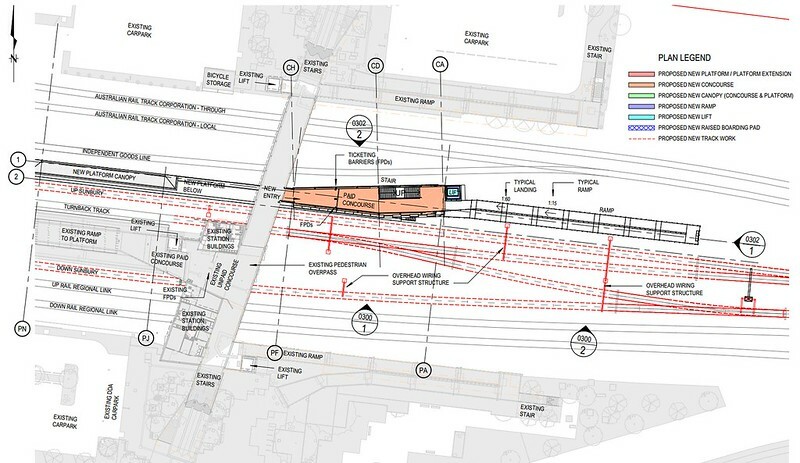 But this station will also have a direct paid connection into Flinders Street Station, so to aid rail network legibility, it would make a lot of sense to simply call it (part of) Flinders Street. CBD North: Some people have suggested RMIT, but RMIT has multiple campuses including in Bourke Street, and out at Bundoora. The major landmarks are the State Library (so perhaps “Library”) and the City Baths. 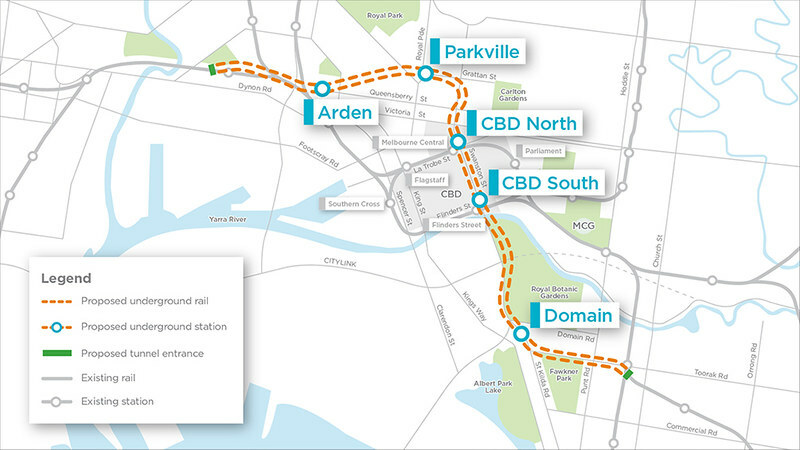 But as with CBD South, this station will include a direct connection into Melbourne Central, so again, there is a strong argument for calling it “Melbourne Central”. There’s also a strong argument that “Melbourne Central” is not a very good name for Melbourne Central Station. It couldn’t stay as Museum after the museum moved away. You could rename the whole complex “Library”, but I suspect that ship has sailed. It may not be a main central station, but there are others around the world called “central” that aren’t the main station (I found one in Exeter) and at least the shopping centre is a landmark. Parkville: This one will directly serve Melbourne University and the hospital precinct, and I can’t immediately think of any other landmarks in the area. I wouldn’t call it “University” — we’ve only in the past decade or two got away from trams using that name, which is vague given the number of universities in Melbourne. “Parkville” is probably a pretty good name. Arden: This will be in a new development area. The name Arden is derived from Arden Street, but is that name locked-in as a suburb name? Whatever the suburb is going to be called, I’d use for the station.